JUNEAU, Alaska - Trout Unlimited, Alaska Program, today applauded the completion of a major salmon river restoration project in the Tongass National Forest, located on Prince of Wales Island in Southeast Alaska.The Harris River and one of its tributaries, Fubar Creek, were heavily impacted by clear-cut logging in decades prior to passage of laws requiring that loggers avoid stream banks and riparian areas, not drag fallen timber down salmon streams and adhere to other standards to protect fish habitat. Harris and Fubar - important salmon, steelhead, trout and Dolly Varden char producers - suffered damage including major erosion and blocked fish passage. But in a multi-year effort led by the U.S. Forest Service (FS) and The Nature Conservancy (TNC,) with support from Trout Unlimited and other partners, the rivers have been restored to their near-original condition. A celebration to mark the project's completion is scheduled for Aug. 25 in Craig. U.S. Undersecretary for Natural Resources and Environment, Harris Sherman, is expected to attend. "The Harris River and Fubar Creek restoration is a model for the type of work we need to see more of on the Tongass National Forest. 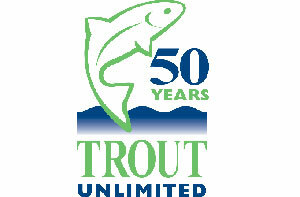 Projects such as these create local jobs, involve residents in collaborative resource management, and improve fish habitat for anglers, commercial fishermen and subsistence folks alike," said Tim Bristol, director of Trout Unlimited, Alaska Program.Trout Unlimited, a national leader in stream restoration, worked with the FS, TNC, the U.S. Fish and Wildlife Service and the National Oceanographic and Atmospheric Administration to secure community support and financial resources for the project. The restoration effort included more than 11 miles of stream rehabilitation; eight miles of road work to improve fish passage and reduce erosion; more than 400 acres of tree thinning for habitat improvement; and extensive trail and recreation improvements.Some of the methods used on the Harris and Fubar projects were tested at an earlier restoration project funded in part by Trout Unlimited on Prince of Wales Island, at Sal Creek near Thorne Bay and Coffman Cove. A popular recreational destination for anglers, residents and visitors to Prince of Wales Island due to its well-maintained road access, Sal Creek historically provided high quality spawning and rearing habitat for coho, pink and chum salmon, as well as steelhead and cutthroat trout, and Dolly Varden char. As with Harris and Fubar, the Sal Creek watershed was heavily logged, leading to erosion, sedimentation, blocked fish passage and other problems which resulted in loss of fish habitat. With funds and in-kind donations from Trout Unlimited, the Forest Service and TNC, Forest Service contractors used excavators and other heavy machinery to move hundreds of large logs with attached root systems into the creek to create pool habitat for adult and juvenile salmon. "Down south, in the Lower 48, we had been using artificial materials like chain link fence and rebar to hold these structures in place. At Sal Creek we experimented with using natural structures - extracting the entire tree with the root wad attached - and constructing log jams embedded in the banks of the rivers. They create fantastic habitat. They don't fail as easily as the artificial structures, which leave garbage in the river, create an eyesore and pose a safety hazard," said Brian Barr, a Forest Service hydrologic technician who worked on the Sal Creek project.The restoration at Sal Creek, completed in 2007, also involved thinning 350 acres of overgrown riparian habitat, removing plugged culverts to improve fish passage, and decommissioning abandoned logging roads.As part of its support to the Forest Service's efforts to restore damaged watersheds throughout logged areas of the Tongass National Forest, Trout Unlimited is also contributing tens of thousands of dollars to an upcoming project on the Sitkoh River near the community of Sitka. Slated to begin next summer, the work will include fixing fish passage problems, placing log structures in the river to create spawning and rearing habitat, thinning areas near the river to improve bank stability and rechanneling the river so that it follows its historic course. "We support the Forest Service for the steps it is taking to manage the Tongass as the country's greatest salmon-producing national forest by restoring streams that were damaged and by conserving ones that still face risks from potential development," said Mark Kaelke, Trout Unlimited's Southeast Alaska Project Director.The Tongass produces approximately 70 percent of all salmon harvested from national forests, roughly 28 percent of Alaska's overall salmon catch and about 30 percent of the salmon caught on the West Coast of the United States. In short, the Tongass is America's salmon forest. Click here for more environmental news.